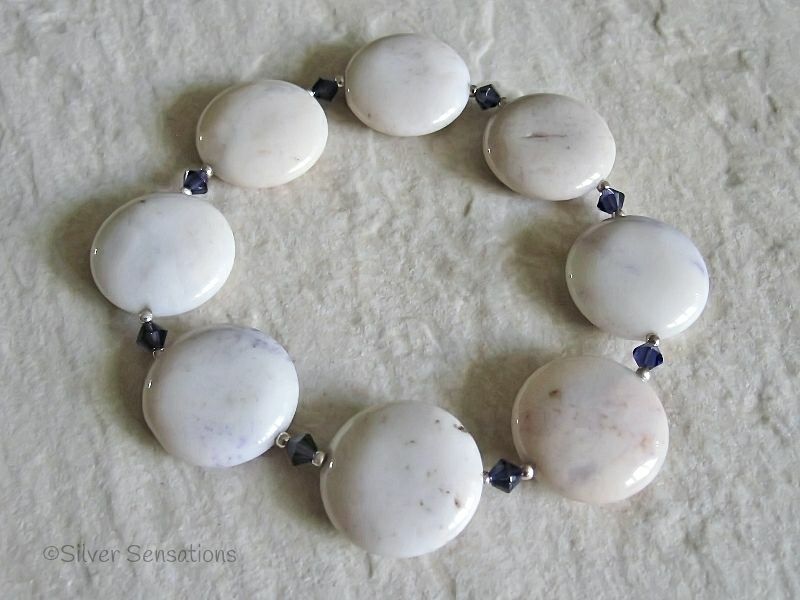 This handmade stretch bracelet has cream & purple Lepidolite coin beads which are 20mm in size. 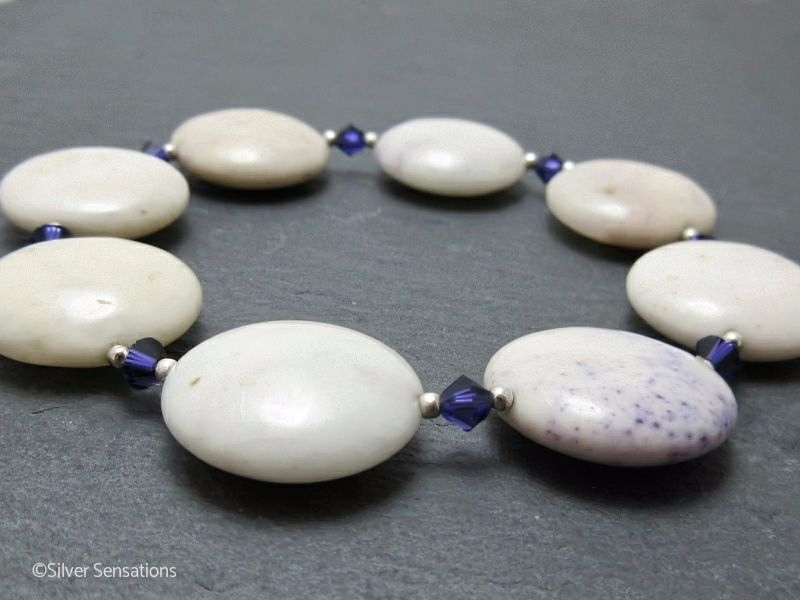 In between each coin bead is a darker purple Swarovski Crystal and Sterling Silver seamless beads. Measuring just over 8.75" this is a very loose fit on a 6.5" wrist and is such an easy & unusual bracelet to wear any time. If you would like a shorter length, please let me know when checking out & I will make it to suit you. 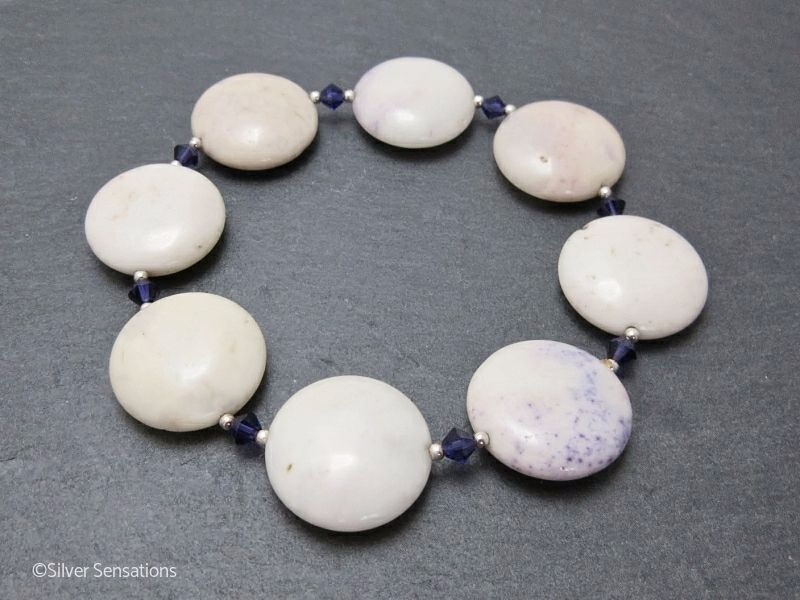 These Lepidolite beads have varying degrees of purple markings on a cream background and as every bead is different, this is the bracelet you will receive. If a shorter length is required then I will use these beads and remove any as necessary.